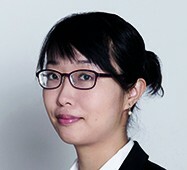 Yun-hua Chen studied linguistics and film studies in Taiwan, France, and Scotland, and obtained her PhD in Film Studies at the University of St. Andrews (Scotland) in 2011. She writes both academic articles and film reviews in English, Chinese and German. Her articles can be found in the Directory of World Cinema: China (University of Chicago Press 2012), and the Journal of Chinese Cinemas (Taylor & Francis), among others.